I will be creating more videos in the coming days, weeks and years. To Make the whole seed hemp milk I used the same recipe as I used below. How To Create Hemp Milk. Making Hemp Milk is so unbelievably easy that everyone should do it! And it is Super Fast. Unlike almond milk where the nuts need to soak for 4 or more hours. I usually soak mine overnight to let the gases fully escape. 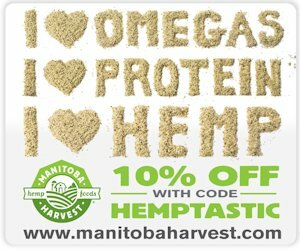 Hemp seeds Do Not need to be soaked prior to use. You could if you wanted, but it is not necessary. 3 Cups of Water. Some people insist on purified H2O, But its tap water I drink, so that is what I use. 1 Cup of Hulled Hemp Seeds. 1/8 Teaspoon Salt. Salt is a flavor enhancer so we use it to help bring out the sweetness of the sweetener so we can use less. 1-2 Tablespoons of a Natural Sweetener of your preference. I usually use Agave Nectar, Honey, Dates, Raisins or whatever I think will taste good. Vanilla. I like to use my homemade vanilla. We like vanilla a lot so you will need to be the judge of how much to use. I probably use about an ounce maybe more. Now fill blender with water, hemp seeds, salt, sweetener and vanilla if so desired. Blend on high for about 3 minutes or until smooth. Taste it and make sure that it is the best tasting hemp milk ever. If it isn’t then add what it needs perhaps a little more sweetener or vanilla maybe cocoa powder, you will have to be the judge. There are also people who insist on filtering their nut or seed milks, but I am not one of them. I see no reason for removing the pulp, I think it adds to the texture and nutrition of the product. If you are one who wants to remove the pulp I recommend going to somewhere like Home Depot and visiting the paint section. I found them by where they keep the paint sprayers you will find something called a paint strainer. I bought a two pack for about $3, and they are very reusable. Mixing a Hemp Protein Smoothie. About 5/7ths of the time I mix up one of these smoothies for our breakfast and my wife also likes to have one for lunch too. Some form of fruit or vegetable Apples, Bananas, Carrots, Berries, etc…. Any Seasoning you may desire, Cinnamon, Cardamom, Nutmeg or a combination of some flavors you like. Blend until relatively smooth. Probably up to 3 minutes. OK, Now I like to Taste it, because it is usually pretty tasty already. This step is optional, But, I do like to mix in another form of protein. Such as Whey, Green Powders or maybe you have a favorite protein powder already. I like to switch up the additional proteins. It is good to use a variety of different proteins and try not always just use the same ones. Unless you have already found several quality products and like to rotate through them. Now blend it until thoroughly mixed pour into a container of some form. Gently rinse down the inside of the blender pitcher and pour this into your shake and repeat until pitcher has been rinsed good enough. Be careful not to use too much water rinsing unless you’re shake it super thick. Busting Out With an Extremely Wonderful Salad. When I’m making my World Renowned Salads I generally Wash a Bunch of Vegetables. I like to Pick a Variety of Greens. I usually go after Kales, and Cabbage, Collards, Parsley, Cilantro, or What ever you have handy. I like to Chop up all my Leafy Greens Real Small. I like salads I can use a spoon on. I grab all the hard vegetables and a food processor. Then I cut the veggies up small enough for processing. Slice any Mushrooms, Tomatoes, Boiled Eggs, Cheese or anything that shouldn’t go through the processor. Grab A Good Sized Bowl from which you intend to eat. A Handful of Everything you just prepared. Season with Hemp Oil and your Favorite Vinegar. Sprinkle With Hemp Seeds, and any other seed you may have on hand. Stir Until the Entire Salad has Come Into Contact With the Vinegar and Oil. Sativa Eco Gorgeous Bag Inspection and Review. We just picked up this Really Nice Sativa Rucksack for my wife. It has two nice, good sized pockets on the front that secure using a snap. On each side, there is an open topped pocket. On the backside of this Durably Built Bag there is a deep, wide, zippered pocket along the top. Turning to the inside of this satchel it has two pockets sewn into the back of the major compartment. Each one is large enough to hold a Man Sized Wallet. It Will Also Hold A4 Size Pads and Folders. You can attach the strap in such a way that it becomes a little backpack. Very Cute! There is a handle on the top so you can even just carry it. The top of this sack folds over similar to a messenger bag and has two leather straps that would appear to buckle, but are, in fact, secured magnetically. I would recommend this purse to anyone looking for a well-built multifunction bag.